EL DORADO, ARK.—A few good teams are needed to round out the 2013 El Dorado Trivia Challenge on March 14. Now in its 15th year, the Challenge offers a fun evening of wit and friendly competition to raise funds to improve economic and financial literacy among area students K-12. The event is scheduled for March 14 at the South Arkansas Arts Center. Up to 12 teams of business and community leaders will compete to match one another’s wit and trivia knowledge. This year’s theme is “That’s Entertainment,” with questions related to movies, TV, music, sports, board games, card games and more. Awards will be presented to the top three winners, the team showing the most “spirit,” and the most creative outfit representing entertainment. Team orientation begins at 5.15 p.m., followed by a reception at 6 and the game at 6.30. Organizations may sponsor a four-person team for $2,000. The fee also covers 20 guest seats and dinner refreshments. 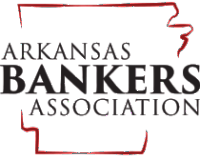 Registrations must be submitted to Economics Arkansas by March 8. Entry forms are available from the El Dorado Chamber of Commerce by contacting Christy Murphy, christy@goeldorado.com or 870-863-6113, or from Economics Arkansas in Little Rock, sue@economicsarkansas.org or 501-682-4349. The first Trivia Challenge in El Dorado took place in 1999 through advocacy efforts led by local civic and business leaders, including Madison Murphy of the Murphy Foundation. Murphy served on the Board of Directors of Economics Arkansas at that time and has continued his support of the organization since.